From Lakeside to Mountain Top is a documentary filmed by Tracey Walker who followed Cockermouth Rescue Team for 18 months from January 2011 to June 2012 and gives an insight into the workings of a Lakeland Mountain Rescue Team. Tracey filmed the team in action during callouts, practices and interviewed Mountain Rescue supporters. The 10 minute version was shown at the 2012 Kendal Mountain Festival in Cumbria and won the Silver Osprey Award in the Open Category of the Osprey Short Film Awards at the 2013 Keswick Film Festival. 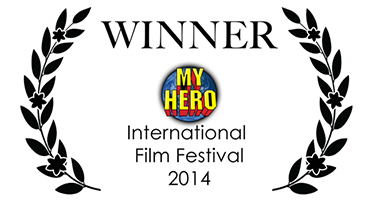 From Lakeside to Mountain Top also came 4th in the Professional Portraits of Organizations Category of the My Hero International Film Festival 2014. 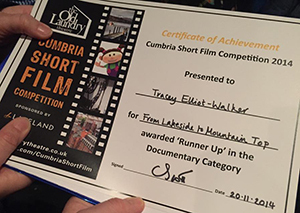 In the Cumbria Short Film Competition 2014, From Lakeside to Mountain Top was awarded 'Runner Up' in the Documentary Category. We would like to thank Cockermouth Mountain Rescue Team and their supporters for making this film possible.